If I had to choose just 5 essential design books to recommend to aspiring sweater designers which 5 would you choose? As I pondered this question I realized that I would choose one book for each phase of my design process. Starting with organizing my thoughts and sketches and moving all the way through yarn choice, shaping, and pattern making to finishing properly. After much thought and a nice long trip to my local book store these are my top five design books for sweater knitters. This little notebook is an incredible way to keep yourself and your designs organized. Knit Notes includes sections for your sketches, yarn samples, stitch gauge and the design details you won’t want to forget. Most knitters dream of making their own knitwear designs and this notebook turns dreams into reality. Each of the 30 blank journal entries includes space for inspirational materials, information on yarn, tools, and project instructions. When you finish there is a space for a photo of the project. Also included are two types of graph paper, one for sketching a silhouette, the other for creating stitch charts. There’s even a ruler printed on the inside back cover! This book is essentially a well organized mood board for all of your designs! A Handknitters yarn guide is a great place to start when it comes to deciding on what to knit your next sweater with. This book collects all the facts, figures, and details about each yarn, and includes photos to show the different effects they create. This book includes a comprehensive encyclopedia of yarns, complete with swatch images and information on how best to work with them. The Handknitters’ Yarn Guide is an essential handbook for every knitter! If you’ve ever been intimidated to design because of the sizing and scaling then this book is for you. Sally Melville reveals the secrets to creating or modifying a pattern so the finished project looks and fits exactly how you want it to. Pattern drafting has never been easier to understand as Sally breaks down each skill, including how to calculate your personal measurements, create a pattern for an existing garment that you love and shape a variety of necklines, shoulders, sides, sleeves, and hemlines along with so much more! The word “finishing” fills many knitters with dread. Some even abandon projects rather than complete the necessary steps to achieve beautiful, wearable garments. Notable designer Deborah Newton shares her expertise and love of finishing techniques in this on-the-page master class. Deborah patiently takes you step by step through how to block, seam, edge, and embellish to create professional-looking knitwear. In addition to expert instructions, the book includes 12 practice patterns! This book is an incredible resource for every knitter but is particularly helpful for creating beautiful designs. 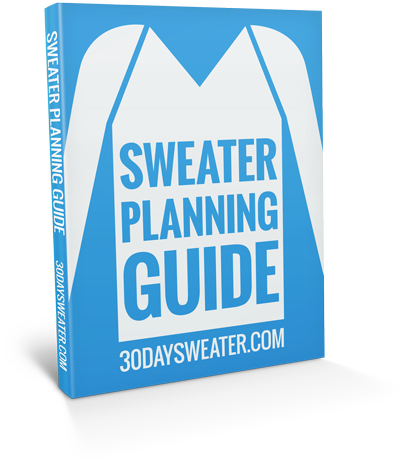 So there you have it, my top 5 design books for sweater knitters! If you could only choose 5 design and resource books for knitting which 5 would you choose?